ex North London Railway coaches that found their way onto the Furness Railway. With the roof raised and a higher roof profile they represent the later years of these vehicles. They are 3D printed and each vehicle is a single piece ready to clean and paint. 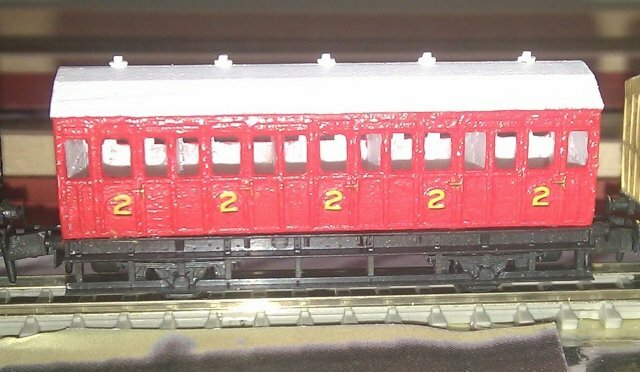 They are designed to fit directly onto the Peco 15' brake van chassis and be very easy to build. ex North London Railway coach with a raised roof profile as used on the Furness railway, and as now preserved.